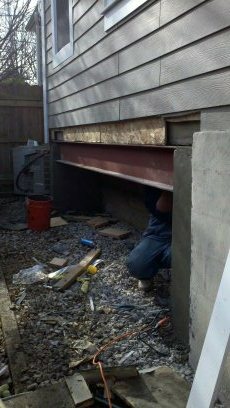 When this couple approached Noel DB, they had been unable to sell their home because of a very serious structural problem left over from a former “flipper’s” unpermitted rear addition and third story addition that left the house majorly “settling” in two places. 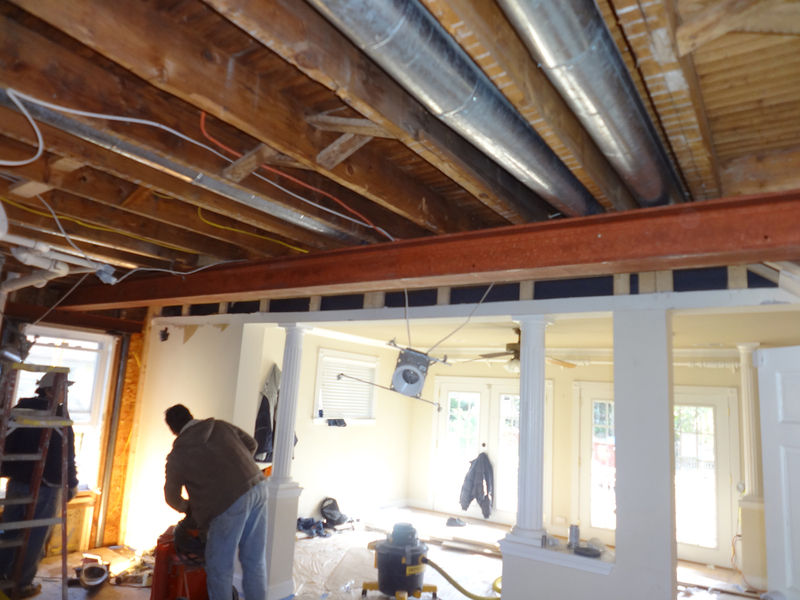 A very large steel beam would have to be installed below the first floor ceiling across the entire house but Noel DB worked with the client’s engineer to transition from the initially specified thin and tall beam to a wider and lower profile one that would enable a coffered ceiling to incorporate and hide the beam. 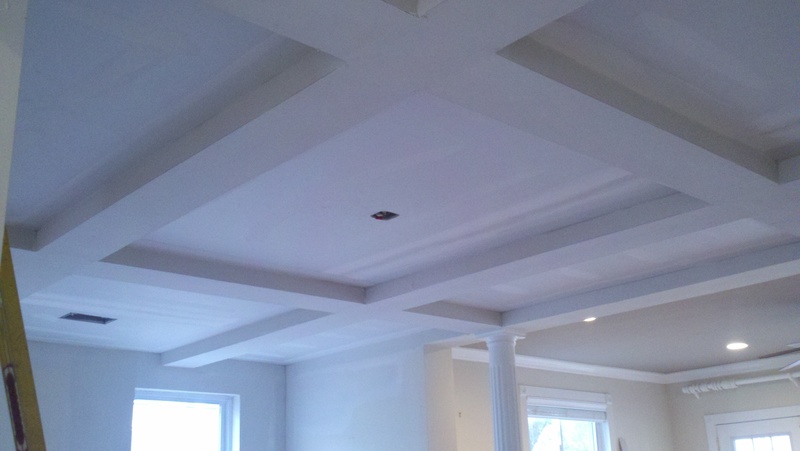 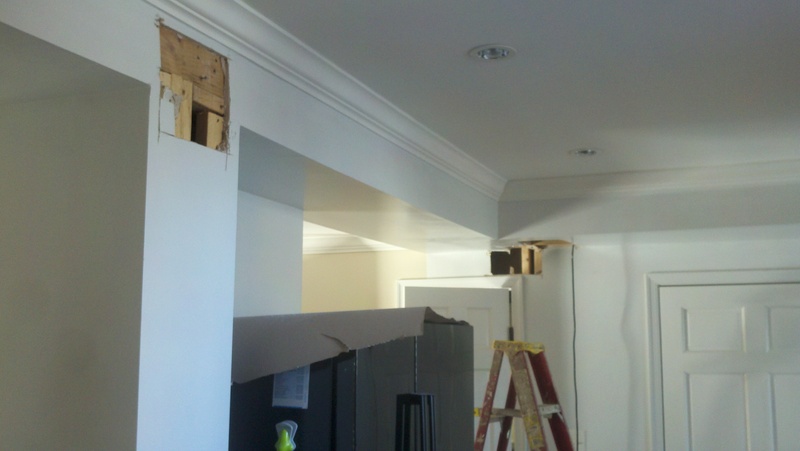 A new beam installed under the side of the addition fixed the exterior framing support problem and the new coffered ceiling design that covered the interior beam added a welcomed elegance to the large dining room impacted by the problem which led to the immediate sale of the house.